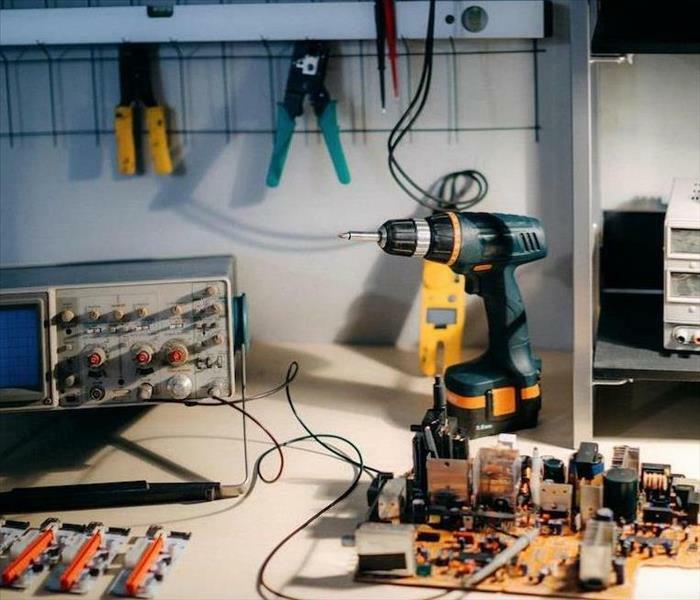 When fire damage occurs in your electronics repair shop, the situation needs fast mitigation services. Contact our IICRC certified technicians. If you sell or repair electronics, a fire at your businesses premises can lead to substantial losses and major inconveniences. The initial steps taken immediately after putting out the fire can limit the inconveniences and help your business recover faster. Our fire damage restoration services help businesses mount a proper response. Evaluating the level of loss immediately after commercial fire damage in Santa Ana helps point the restoration process in the right direction. During inspection our SERVPRO technicians determine the level of damage on building materials and fixtures such as cabinets and counters among others. If the damage is restricted to specific areas, we help you take measures such as boarding up or creating exclusion zones allowing you to serve customers as we restore the damages. Most fire incidents ruin electrical outlets and power cables. Such damage can affect the restoration process because some of the steps involved require power, heat or light. Even when there is no visible damage in the electrical systems, switching them on before they are checked can lead to short-circuits. We have portable generators in our production trucks allowing us to operate all equipment immediately after arrival at the loss site. Our technicians also have electric circuit testers for preliminary checks of electric circuits in case you need to turn power on. In case of fire damage incidents, SERVPRO of Santa Ana South can help you respond the right way. You can reach us at (714) 558-7772 any day. We’re Faster To Any Size Disaster. Click here for more information about the city of Santa Ana. Our #1 priority at SERVPRO of Santa Ana South is to restore your home from all forms of water damage. Protecting your home in Santa Ana is your top priority. Here is where your life happens, and it is your haven from all that is going on in the world. However, what do you do when life is upset from within your house? Perhaps a faulty appliance leaks through your kitchen and into your living room, leaving your carpet and belongings wet and unusable. Your best resource is reaching out to a professional team to quickly extract the water and dry your property thoroughly before long-term consequences settle in. In Santa Ana, water removal services are best left to SERVPRO. Our technicians are experienced in assessing the situation and developing a strategic approach to returning your home to mint condition. Once you place a call to our 24/7 hotline, you receive the benefit of our IICRC-certified team as well as the most advanced technology available to our industry. All you need to do is act quickly and place the call. It is hard to decide where to start when you see your furniture and belongings surrounded by water. Our SERVPRO crew always addresses any safety issues before entering your home, and they promptly move your personal property to a dry area to avoid further water damage. For hard to move items we make sure they are raised above water level to stop any more liquid seeping into them. Concurrently, we begin the extraction process, usually by capitalizing on our submersible pumps. We may follow with smaller instruments that let us access hard to reach corners, all with the goal of leaving no water behind. Our moisture sensors and hygrometers let us know when the job is complete and ready for us to add dehumidifiers and air handlers to the site to dry it. The benefit of enlisting the help of our SERVPRO team lies in our formal training and on-the-field experience. We recognize that mitigating your loss relies heavily on our ability to move quickly and effectively. Our targeted approach lets us prevent the damage from escalating, usually protecting your home from the future presence of mold or a weakened structure. At SERVPRO of Santa Ana South, we are available at (714) 558-7772 whenever you need us. Call us and let us leave your home "Like it never even happened." For more on Santa Ana, click here. In an emergency, contact SERVPRO of Santa Ana South at (714) 558-7772 for immediate assistance. Proteger su hogar en Santa Ana es su primera prioridad. Allí es donde sucede vida, y es su refugio contra el mundo. Sin embargo, qué hace cuando su calma es amenazada desde dentro de su hogar? Quizás un electrodoméstico falla y se filtra a lo largo de su cocina, llegando a su sala de estar y empapando su alfombra y pertenencias. Su mejor recurso es contactar a un equipo professional para extraer rápidamente el agua y secar su propiedad completamente antes de causar daños permanentes. En Santa Ana los servicios de remoción de agua son la especialidad de SERVPRO. Nuestros técnicos tienen amplia experiencia en evaluar la situación y desarrollar un plan estratégico para regresar a su hogar a su condición inicial. Una vez que usted llama a nuestra línea, la cual está disponible 24 horas al día, 7 días a la semana, usted recibe el beneficio de nuestros técnicos certificados por IICRC al igual que el de la mejor tecnología disponible en la industria. Lo único que usted tiene que hacer es llamarnos. Es difícil decidir donde comenzar el proceso de recuperación cuando sus pertenencias y muebles están inmersos en el agua. Nuestra cuadrilla de SERVPRO comienza por solventar cualquier problema de seguridad que pueda existir y luego comienza a mover sus pertenencias a zonas secas para evitar más danos de agua. Los objetos más pesados o difíciles de mover son colocados en alto para evitar que el liquido los siga penetrando. Al mismo tiempo comenzamos a extraer el agua utilizando bombas sumergibles y equipos más pequeños que nos permiten entrar en lugares más pequeños. La meta es alcanzar el balance correcto de humedad en su hogar, y nuestros medidores de humedad e higrómetros nos ayudan a monitorear el trabajo. Para finalizar, utilizamos deshumidificadores y ventiladores para secar el ambiente. El beneficio de contratar los servicios de SERVPRO radica en nuestro entrenamiento formal y nuestra experiencia de trabajo. Reconocemos que mitigar sus perdidas depende en gran parte de nuestra capacidad de movernos rápida y efectivamente. Nuestra metodología nos ayuda a evitar daños a futuro, tales como la proliferación de moho o la debilitación de la estructura de su casa. En SERVPRO of Santa Ana South, estamos disponsibles en el (714) 558-7772 tan pronto nos necesite. Llámenos y déjenos dejar su hogar como que nada hubiera sucedido. Para más información sobre la ciudad de Santa Ana, haga clic aquí. 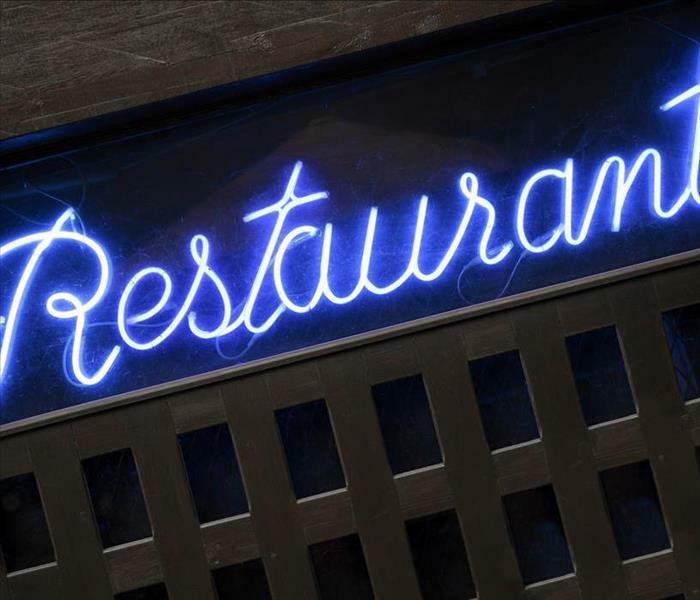 Have Water Damage in Your Santa Ana Restaurant? SERVPRO Has A Solution! You can trust our SERVPRO team to get your restaurant back up and running as quickly as possible. Imagine working hard to open your own eatery in Santa Ana where you treat your guests to a great culinary experience. Now imagine finding yourself surrounded by water after a small kitchen fire set off the sprinkler system. In just a few minutes, your floors are soaked as well as your decor and food product. Every minute your restaurant is closed for business quite literally costs you money, so getting it back up and running is your top priority. 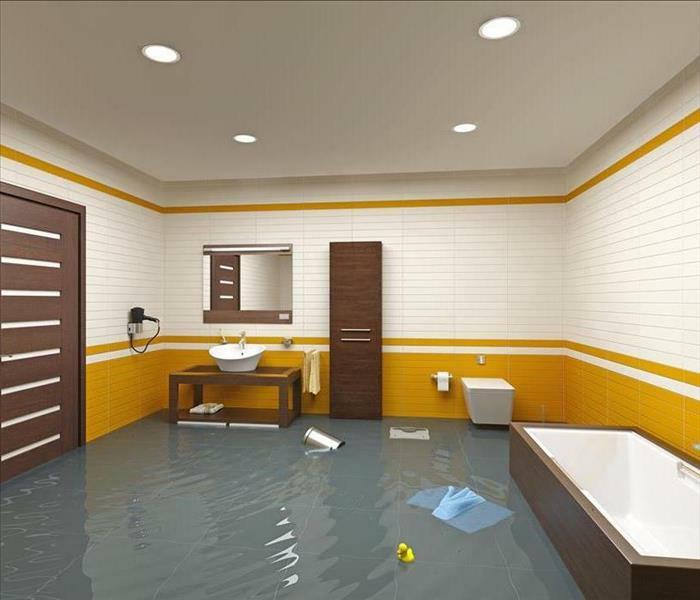 SERVPRO is your best resource for commercial water damage in Santa Ana. Our team is well trained and experienced in addressing the needs of commercial establishments when restoration is the goal. 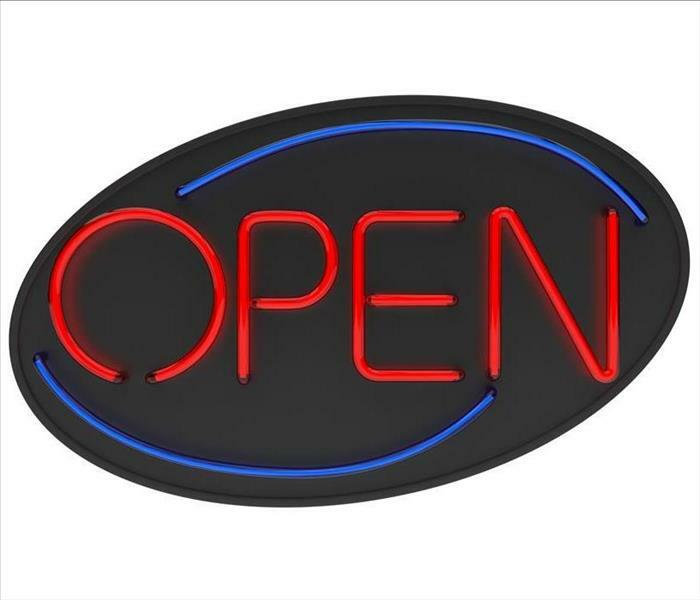 You can reach us 24 hours a day, seven days a week, so repairs begin as soon as possible. Together, we share your goal of minimizing the number of days until your restaurant welcomes its patrons once again. When dealing with commercial buildings, our SERVPRO team is mindful of health code requirements and works accordingly. Understanding any restrictions related to your building or zoning is also essential, and we take those into account during the water extraction process. Having available both portable and truck mounted pumps and extractors help expedite the removal of water so we can move on to the drying process and deciding on which elements need to be permanently removed if any. As we bring air movers and dehumidifiers into your restaurant, we also keep in mind your food inventory and protect it as much as possible. We recognize the value of the contents of your business and attempt to mitigate losses whenever possible. The expertise of our SERVPRO team along with your knowledge and any emergency plans you have in place for your restaurant, guide an efficient and safe restoration process. Knowing where utility lines, power sources, and safeguards are located is essential in avoiding further damage. ¿Tiene Daños De Agua En Su Restaurante De Santa Ana? ¡SERVPRO Tiene Una Solución! Puede confiar en nuestro equipo de SERVPRO para que su restaurante vuelva a funcionar lo más rápido posible. Imagínese trabajar duro para abrir su propio bistró en Santa Ana, donde invita a sus comensales a disfrutar de una excelente experiencia gastronómica. Ahora imagínese sumergido en agua luego que un pequeño fuego en la cocina activara los rociadores contra incendio. En tan solo unos minutos sus pisos están mojados, al igual que su decoración, inventario y productos de comida. Cada minuto en el que su restaurante está cerrado es literalmente una pérdida de dinero para usted, asi que devolverlo a sus operaciones habituales es su primera prioridad. SERVPRO es su mejor recurso cuando su restaurante en Santa Ana sufre daños causados por el agua. Nuestro equipo está entrenado y cuenta con la experiencia necesaria para restaurar los locales comerciales que así lo requieran. Usted puede contactarnos 24 horas al día, 7 días de la semana para comenzar las reparaciones lo más pronto posible. Juntos compartimos la meta de minimizar el número de días hasta que pueda dar de nuevo la bienvenida a sus clientes. Cuando trabajamos con edificios comerciales, nuestro equipo de SERVPRO es consciente de los requerimientos del departamento de salud y los toma en cuenta en el plan de acción. Entender las restricciones relacionadas con el edificio o la zonificación de su negocio es muy importante, y por eso las tomamos en cuenta en el proceso de extracción de agua. El tener bombas de extracción tanto portátiles como fijas nos ayuda a acelerar el proceso para pasar rápidamente al secado y eliminar aquello que deba ser desechado. A la vez que traemos deshumidificadores y ventiladores a su restaurante, tomamos en cuenta el inventario de comida que usted tiene en su alacena y lo protegemos lo más posible. Para nosotros es muy importante que las pérdidas que usted sufra sean mínimas. La experticia de nuestro equipo de SERVPRO junto con su conocimiento de negocio y planes de emergencia establecidos, nos guiarán eficientemente en el proceso de restauración. Saber dónde se encuentran las líneas de drenaje, fuentes de energía e interruptores de seguridad es esencial en evitar más daños a su propiedad. SERVPRO of Santa Ana South está aquí para restaurar su lugar de comida en caso de daños causados por el agua. Una llamada al (714) 558-7772 es el primer paso en mitigar sus pérdidas y preparar su restaurante para su siguiente cliente. Permítanos dejar su propiedad como que nada hubiera pasado. Reach out to us right away after the fire is out by dialing (714) 558-7772 so we can help you to avoid additional damage. There are many precautions against fire that you need to take in your Santa Ana automobile repair shop. There are plenty of chemicals and equipment that could spark a fire if used or stored improperly, and if you have any attached buildings, there are other precautions you can take to protect them in case a fire breaks out. Fire damage in your Santa Ana business must be taken care of right away. Even if the fire was small, you must deal with not only the damage to your shop and machinery but possibly customers’ vehicles as well. SERVPRO, as a professional restoration company, can help you any time you need in a situation like this. Our experts can also help you talk with your insurance company to ensure that you get all the coverages you need. The first precaution you need to take in your shop is storing hazardous and flammable liquids in the proper containers that are approved by either the State Fire Marshall or the US Department of Transportation. All lids should be sealed and tight-fitting, and all containers, flammable cabinets, and tanks should be labeled with what materials they contain and the hazard they present. Ensure that there is no excessive spoilage or leaks in waste or chemical storage areas as well. 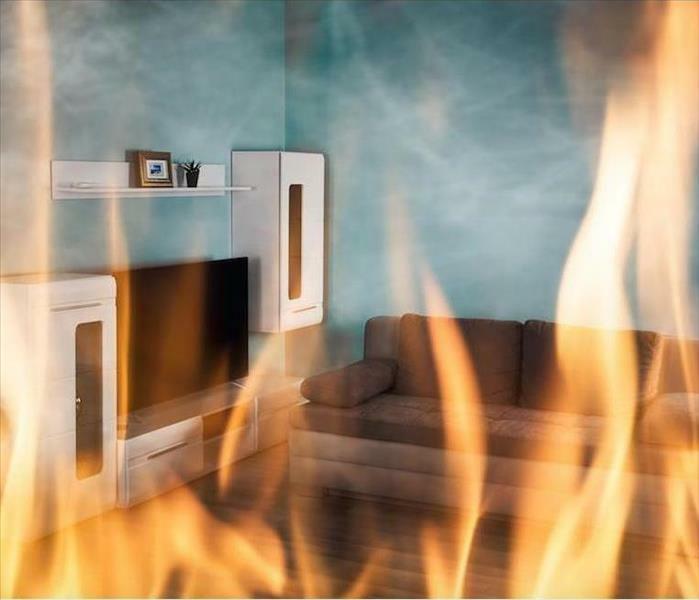 Part of our fire damage restoration services includes cleaning your structure, which focuses on getting rid of any smoke residues and deodorizing odors given off by these residues. We consult with your insurance adjuster to determine which structural components can be cleaned and which ones cannot. Replacement or repair is needed for any materials that do not respond well to cleaning. If your building has attached structures, you should have two-hour firewalls between the garage area and the rest of the structure. Fire doors need to be equipped with automatic closures and all openings in ceilings and walls sealed. A 40BC extinguisher needs to be available, as well as 10BC extinguishers every fifty feet. Your employees all need to be trained on how to use the fire extinguishers and signs posted over each one. Emergency exits and aisles should be clear, with exit signs posted over the doors. SERVPRO of Santa Ana South is always available to help you restore fire damage in your business in Santa Ana or the surrounding areas. Reach out to us right away after the fire is out by dialing (714) 558-7772 so we can help you to avoid additional damage. Click here for more about Santa Ana. We will restore your home after you experience flood damage so you and your belongings will be safe. Call us 24/7 we are here to help you. Natural disasters such as floods are fraught with chaos and uncertainty of what is to come. Even when there is warning of what might occur, the reality is often worse than you could imagine and quick action is crucial. When a whole community is affected by the disaster, the crisis escalates and protecting your home is even more difficult. Knowing who to call in case of an emergency is your first line of defense. If there is flood damage to your home in Santa Ana, do not hesitate to call SERVPRO. Our response team is available 24/7, so it can promptly react to your emergency and begin the restoration process. Even though extracting water is a top priority, so is preventing any subsequent damage, such as mold or a weakened structure. Our certified technicians can help tackle immediate needs as well as anticipate future complications. Of immediate concern when there is flooding, is addressing the contamination coming from black water. Any organisms living in those waters must be quickly eradicated from your home. Porous materials such as upholstery and carpeting are removed, which helps control any unwanted spread of bacteria as well as speed up the drying process. Our SERVPRO team is trained to know how to handle these materials safely and efficiently. Aside from extracting water from your home, our Green Fleet also concentrates on disinfecting any surfaces such as tile and grout. We use material-specific substances to remove harmful bacteria and work with you to coordinate with any contractors that need to perform further repairs. As we move through your home, we work to prevent problems such as mold which is a by-product of excess moisture. Our team has the training and expertise to assess the extent of the damage to your property, even those issues that have yet come to light. This evaluation can prove invaluable when you address the event with your insurance company, and we are happy to provide any information you might need to file a complete and accurate claim. For a complete list of programs and activities in your area click here. Did You Know That SERVPRO Uses Advanced Tools and Services in Bow When Remediating Fire Damage? Just as soon as the firefighters leave, place a call to SERVPRO for an assessment and remediation services. We are standing by to take your call. If a fire razes your home, you are likely to face many uncertainties like whether you can save the items affected by the blaze and whether the home can be occupied within a reasonable period. Even the small fires involving a faulty electrical appliance or kitchen stove can cause widespread damages all over the property making it uninhabitable. If a professional restorer does the cleanup, it is possible to save many items and make your Santa Ana home livable within a reasonable period. One of the factors that determine the outcome when restoring fire damage in Santa Ana is the evaluation done. Without proper evaluation, some steps that should be carried out immediately may be delayed worsening the level of damages. The evaluation also helps determine what contents can be saved so that they can be the focal point. Our SERVPRO technicians classify items as salvageable, unsalvageable and questionable. We remove the unsalvageable ones for disposal then focus on cleaning the salvageable ones on site while the questionable ones are cleaned offsite where we can give them more attention. A good approach when facing widespread damages is to move out items from the property to ease the process of cleanup and rebuilding of areas gutted by the fire. Move outs also protect the contents in the house from secondary damages that might happen during the restoration process. Our SERVPRO technicians use an electronic CCIS, Content Claim Inventory Service, when packing items for the move out. With this, we are able to classify items room by room reducing chances of loss. Apart from the contents, fire also affects building materials used in fixtures such as cabinets in the affected areas. Such damage can occur through heat action, scorching by flames, and deposit of smoke residues. Restorative cleaning can help save such items instead of tearing them down and throwing them away. Our SERVPRO technicians use advanced cleaning approaches such as soda blasting which strips away the charred surfaces leaving the surface clean. Since the process utilizes sodium bicarbonate, it also deodorizes the affected areas. To reduce the stresses of restoring your fire-damaged home call SERVPRO of Santa Ana South. 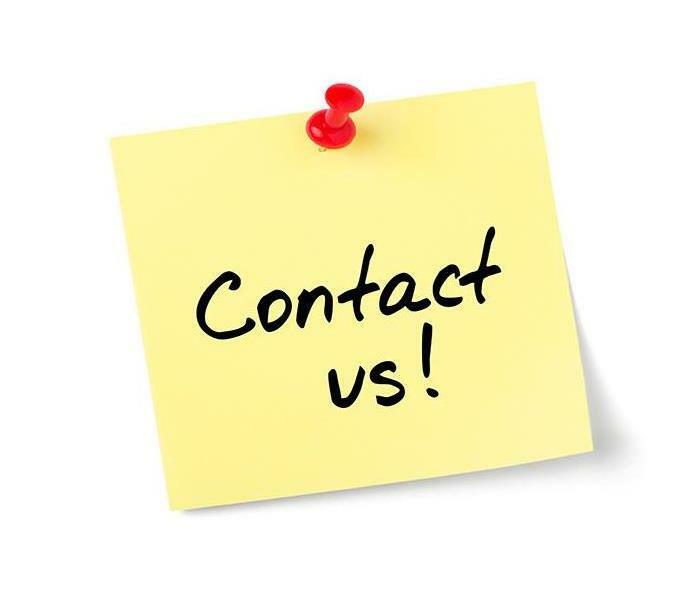 You can reach us at (714) 558-7772 any time. Click here for more information on Santa Ana. The smoke and soot from wildfires damage personal property-even miles away from the fire. Sometimes your Santa Ana home can fall victim to a disaster that does not even occur directly to or in your house. 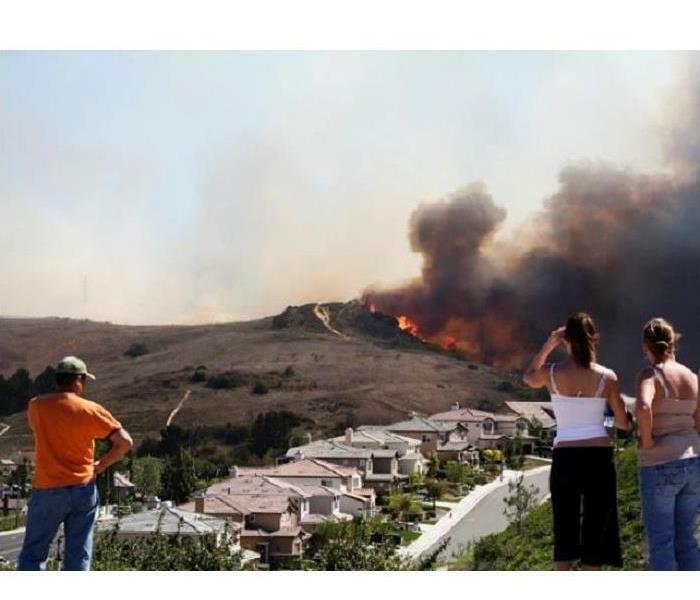 Wildfires and other natural disasters occur throughout California more often than they should, and as a result, many properties become affected by the spread of these disasters indirectly. With wildfires, smoke and soot damage can get both inside of your home and coat its exterior, requiring the professional expertise of restoration technicians to remove effectively. When your home gets affected by these various forms of fire damage in Santa Ana, you might believe that you can quickly clean affected surfaces on your own to both save time and money, but this is not the case. What many homeowners do not realize is that smoke and soot residues easily stain surfaces and affected structural elements without the appropriate removal techniques. It is always advisable to seek out the rapid response and experience of our SERVPRO professionals to recover from wildfire damages. From the time that our professionals respond to your call, we can begin establishing the full scope of the damage to your property with a thorough inspection. This assessment can often reveal affected areas of your property that you were not aware had become affected, such as the HVAC systems. Air intakes on outside units can absorb a considerable volume of soot and smoke particulates as they continue to affect the area, which can spread these damages throughout your home and the ductwork inside. Our SERVPRO technicians have effective tools for removing soot from both the exterior of your home and from the entirety of the HVAC system. By cleaning the ductwork quickly, we can help to limit the exposure of your home to further soot and smoke damages when the unit can safely get turned back on. Read about Santa Ana here. Mother Nature Doesn't Stand A Chance When SERVPRO is Involved! 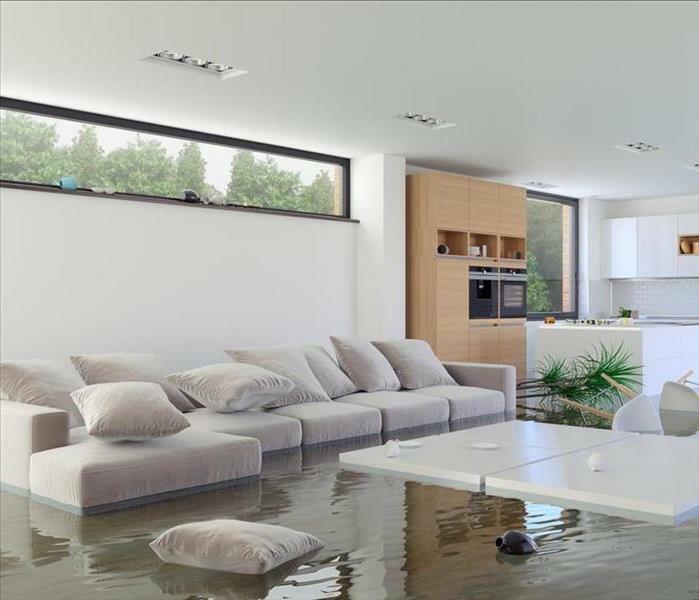 At SERVPRO of Santa Ana South, we are here to clean up and restore water damage "Like it never even happened." Mother Nature has increasingly shown that it can be quite unpredictable. California, in particular, has faced fires, droughts, torrential downpours and many other natural disasters that have left homeowners on high alert in order to protect their property. However, the results sometimes are inevitable. 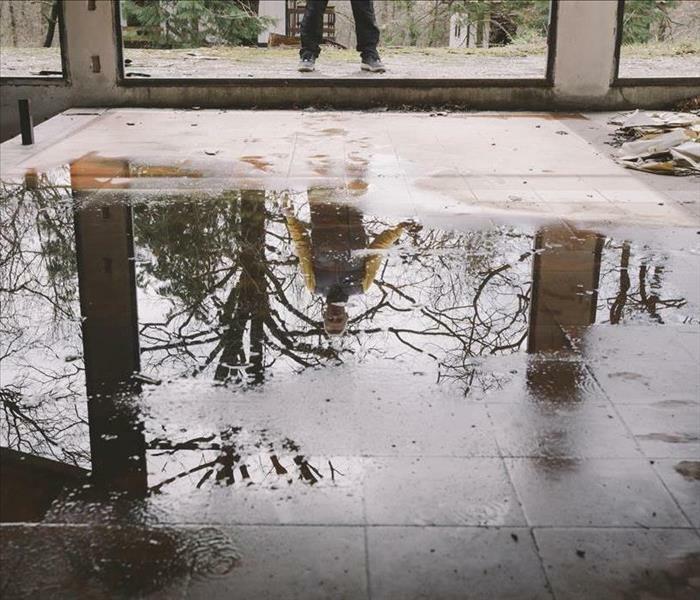 Water damage can afflict the most cautious homeowners, leaving them in dire need for a reputable professional team to help restore their home after disaster strikes. Speed is very important when facing water damage to your home in Santa Ana. Once you and your family are safe, it is imperative that you reach to a professional team as soon as possible. At SERVPRO, we are prepared to take your call and spring into action 24/7 because we recognize that emergencies happen at any time. Why should you act quickly? When water enters your home, the longer it lingers, the more it damages not only your belongings but the very foundation of your home. This is why commencing the extraction process is an urgent matter. Our technicians go through a rigorous IIRC certified training program where they learn about water restoration and its different components and then complement their training with ongoing education sessions. This allows our SERVPRO team to be up-to-date with the latest techniques and equipment for efficient water removal. Upon arriving at your home, our Green Fleet will first assess the damage, address the most concerning needs, and then begin the process of returning your home to how it should be. At SERVPRO, we apply the principles of psychrometry to control humidity, airflow, and temperature. These three factors are essential in removing moisture from the air and materials in order to avoid any spread of mold or aggravated buckling of flooring. By using infrared technology, we can detect any water collected behind walls or in the ceiling and apply proper drying techniques to eliminate those deposits as well. The goal is not to fully eliminate moisture, but to return them to the optimal level determined by each surface or material. SERVPRO of Santa Ana South is here to be your support when you need it most. By calling us at (714) 558-7772, you will have access to our specialized training and years of experience, and we invite you to make us your partners in restoring your home. Our goal is to make it look "Like it never even happened." 3/22/2019 - Have Water Damage in Your Santa Ana Restaurant? SERVPRO Has A Solution! 3/22/2019 - ¿Tiene Daños De Agua En Su Restaurante De Santa Ana? ¡SERVPRO Tiene Una Solución! 3/6/2019 - Did You Know That SERVPRO Uses Advanced Tools and Services in Bow When Remediating Fire Damage? 2/5/2019 - Mother Nature Doesn't Stand A Chance When SERVPRO is Involved!